It must be pretty tough being a truck driver. The stereotype is loud and clear: Overweight and unhealthy men who sit in their vehicles for hours on end, clogging up the motorways and listening to Elvis Presley. It’s not a pretty picture that comes to mind when the average person hears the words: Truck driver. And if it’s not the stereotyping of the truck driver, it’s the bad press. Just recently there was a report that highlighted that some lorry drivers are watching DVD’s as they make their long journeys across the UK. Suffice to say, it can be a pretty thankless job sometimes. The crackdown on lorry drivers doesn’t help the public image of the average truck driver who may not be living up the cliché of the heavy goods hero. Television has done a pretty good job of rehabilitating the image of the trucker in recent years. TV shows such as World’s Most Dangerous Roads, Ice Road Truckers and Channel 5’s Eddie Stobart: Trucks and Trailers have showed us the heart and soul of the truckers who get out onto the roads every day. In some cases, they’re putting their lives on the line in some of the most dangerous conditions you could imagine. When you watch these programs and understand the situation some of these guys are in, you begin to realise that the stereotypical view you may have had about truckers is way off the mark. Hats off to the TV stations for showing the world what these guys get up to. They’ve got nerves of steel and the patience of a saint in some cases, and have truly captured the imagination of the TV audience that has grown with every year, making the truckers celebrities in the process! Another misconception that these TV shows have changed is that all truckers are men. There are some strong, courageous women out there risking their lives on those icy and dangerous roads, including Lisa Kelly, who has become the poster girl for trucking. After an early career in motocross and driving a school bus, Lisa took to trucking. She’s appeared in a few seasons of Ice Road Truckers now, but is taking a break. Sadly gents, she’s also happily married. Unlucky. With svelte and pretty ladies driving trucks these days, it gives truckers the need to up their game in the health and fitness stakes. The average person’s view of the trucker as a bearded, pot-bellied man has been changed, but there’s still a way to go. There are 3.5 million truckers in America, and staying fit and healthy on such long roads is such a huge challenge. It doesn’t help that the majority of places to eat on the road are truck stops, greasy spoon cafes and calorific snack foods. With obesity so high in both the US and the UK, the number of truck drivers who feature in those statistics is pretty high. Truck drivers are at risk of heart disease and diabetes more than the majority of professions, so it’s important that they keep fit in any way that they can between jobs. Getting those walking boots on and exploring the countryside is a great way to keep the blood pumping and the weight down in between those long, tough spells behind the wheel. Trucking as art. Not convinced? You’d be surprised at what you can qualify as art these days. The automobile industry is big business, and there are events for truckers that brings together art and trucks for all to see. From Japan to Pakistan and on home soil, there are some pretty amazing and wacky truck exhibitions out there to feast your eyes on. There are more traditional trucking events that take place all over the world too, and show just how incredible these feats of auto-motoring really are. Events like Truckfest take place every year and has given truckers the opportunity to get together and participate in competitions for over 30 years. With 1,482 trucks competing in the event in Peterborough last year, the misconception that truckers just sit in their lorries, delivering goods and crawling the slow lanes without any change or excitement in their jobs couldn’t be more wrong. 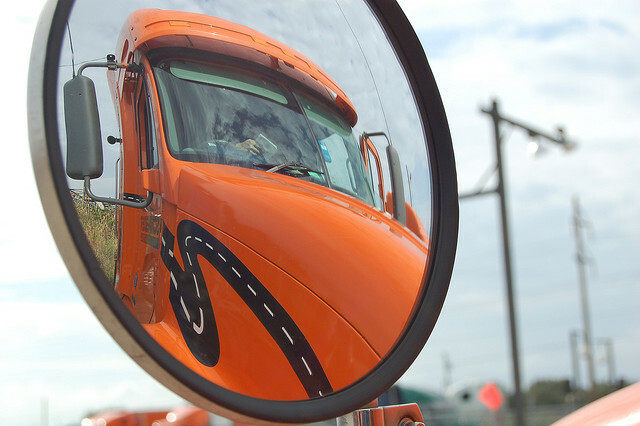 The trucking community is a huge one, and a changing one. It’s important that the public are aware of the positive side of being a truck driver, so that the stereotypes can be forgotten and the wide and wonderful community spirit can be shared with everyone. Sophie works alongside Walker Movements, a company offering new and used trucks for sale. Her family have owned a haulage business therefore she understands how difficult it can be to buck the stereotype of being a trucker!